On the day of October 1st there will be the Sanremo PGA Championship at the Ulivi Golf Club, the 11th Masters Championship of the Italian PGA. From October 12th to the 14th and from October 17th to the 19th by the horse racing field of the Solaro in Sanremo there will be the International Horse Competition Derby of Flowers. 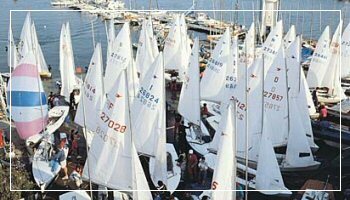 From October 16th to the 19th by the Sanremo Sea Gulf there will be the Fisa World Coastal Rowing Championship. On Sunday, October 26th there will be the 50 Km of Sanremo, (Italian FIDAL championship), a tribute to Dorando Pietri, and a side race of 30 Km. Meeting time at 6.30 AM, the race starts at 8 AM from Piazzale Carlo Dapporto. For information tel. 349-456-8758 SanremoRunners. From October 31st to November 2nd by the Sanremo Target Shooting Range there will be the 1st competition of the 10th Grand Prix “Nation’s Cup”.